A few years ago I read an article in Christianity Today called “’Great to Good’ Churches” (by Eric Swanson, 2003). I suppose it was a reaction to or at least a reflection on Jim Collins’ book “Good to Great.” It noted a “mid-life” reflection that many churches go through– a transition from seeking success to significance, from being great to being good. These define, in many ways, success. Yet, just as many people discover in their mid-life one can be successful and yet live a life that is generally insignificant, many churches question the value of greatness. Some begin to wonder if it is better to be “good” than it is to be “great.” But what might be some of the characteristics of a “Good” church? In short, a good church exudes a Christlikeness that evidences itself in… well… goodness. But I have also been thinking about this on a more individual basis. Should missionaries… should churchmembers… should Christians seek greatness or goodness? This issue kind of hit me from two stories from over 20 years ago– one from where I now live, and one far away that I visited. Story #1. I was given a report of some missionaries from a large mission organization. I don’t know these missionaries since they have moved on, but served in my present home of Baguio City, Philippines. 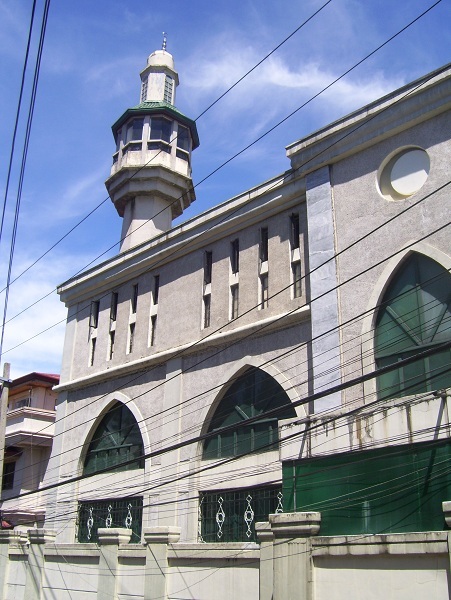 One of the highlights they listed in their work in Baguio was to join with local church leaders in successfully preventing a big mosque from being built in the city. Thousands of Muslim Filipinos have been moving up from Southern Philippines to escape from the violence, poverty, and political corruption in that region. They come to Baguio, an open city, in hopes of a better life for themselves and their children. While the missionary report from the 1980s listed that as a success story (keeping out a mosque), it was clearly short-lived. I presently live close to two medium-sized mosques, and there are a couple dozen tiny mosques in the city as well. But it got me thinking. As a Christian missionary, I do not believe in the divine origin of the Quran (or the Hadith for that matter). I, likewise, don’t personally value having a mosque in my neighborhood. As such, I suppose I could see why some missionaries might fight to keep a mosque out and “pat themselves on the back” for having (briefly) achieved that end. Story 2. Back when I was in the US Navy, I had the great privilege to visit Egypt. Particularly, I got to visit a few times a small but growing city in there. In that city was one Coptic Christian church. Speaking with an Egyptian Christian, I learned that this church had grown greatly, and was bursting at the seams. The building was too small for its congregation. They had requested the right to have bigger facilities to meet the needs of their congregation, but they regularly were refused. I never really had the opportunity to investigate the issues there. I was told that since the end of British occupation, it has been difficult to get permits to construct or expand church buildings. Regardless, it occurred to me at that time how ridiculous it is for community leaders to oppose members of their own community to worship in accordance with the convictions of their own hearts and faith. In my way of think, people who do that sort of thing are clearly not being good. Good people don’t seek to legislatively crush a people’s hopes for a suitable place to worship according to their own faith. But that brings me back to Story 1. I was forced to realize the move to prevent mosque construction in Baguio was similar. <I do realize that sometimes building can be fought due to the specific location. One might argue that building a mosque at Ground Zero in NYC, or next door to the Church of the Nativity, or on the Jewish Temple Mount would be or was… disrespectful. I am talking about those who sought to prevent the building of a mosque anywhere in Baguio.> Good Christians don’t do that. Now don’t get me wrong, I REALLY am not attacking these missionaries from the 1980s. For one thing, I don’t know them enough to judge them. Second, I would hope to receive grace rather than judgment from others in what I do as a missionary. But the main thing is that I believe these missionaries were seeking to be Great Missionaries, rather than Good Missionaries. So what makes Missionaries Great? -Proudly Exercising their Gifts of the Spirit. All of these are fine… but I do wonder if we need a few less “great” missionaries, and a few more “good” missionaries. Likewise, maybe we need a few less “great” Christians, and a few more “good” Christians. In short, good Christians exude a Christlikenss that comes from… well… goodness.